Can I Switch Bankruptcy Attorneys After My Case Is Filed? You are here: Home / Chapter 7 Bankruptcy / Can I Switch Bankruptcy Attorneys After My Case Is Filed? You always have the ability to switch bankruptcy attorneys if you are not satisfied with your current attorney. Depending upon which type of bankruptcy case you have filed will determine whether or not it makes good sense to make the switch. For example, if you have already filed a chapter 7, fresh start bankruptcy, then there probably is not going to be a significant benefit to switching attorneys. First, you’ve already paid your first attorney and you have to pay a second attorney to jump in on your existing chapter 7 case. Second, absent an adversarial complaint, there should be nothing that the first attorney can’t take care of under the original contract with him or her. Switching attorneys during a chapter 13 bankruptcy case is much more feasible. A chapter 13 bankruptcy case can last anywhere from 3 to 5 years. If you are not getting a good response from your attorney, if you are not getting answers to your questions, if you are not feeling comfortable with their level of service, you are not stuck with that law firm or attorney for the duration of your chapter 13 case. You do have the ability to hire another attorney who can apply to the court for fees over the remainder of your chapter 13 case. I typically see someone who wants to refile a new case with the new attorney instead of trying to save the case that is already under some duress. There is one exception to this. When a person wants to convert the chapter 13 case to a chapter 7 case, it has to be done by their attorney. Well the attorney is going to charge a certain fee to convert the case to chapter 7. If the debtor does not like the price that they are hearing, they will often shop around to see if another attorney will convert the case for less. For another attorney to convert the case, that attorney has to first substitute in as the new attorney of record. This involves the filing of a motion, notice to all creditors and parties, and appear to be heard on the motion. Once allowed to substitute in as attorney of record, the attorney can simply convert the case and follow through with the chapter 7 filing. Here is where the debtor might encounter difficulty. The current attorney might want too much money to convert the case. Further, their current attorney is being paid typically through a payroll control order. Thus, the longer the chapter 13 lasts, the greater likelihood that the attorney is being paid through the Chapter 13. The only way to stop a chapter 13 payroll control order is to convert the case to chapter 7. In a recent case, my law office substituted in for another attorney who was either charging too much to convert or simply non-responsive to the debtor’s requests. If you are currently in a chapter 13 bankruptcy case and would like to convert to chapter 7, you may contact my office directly. You may have the option of switching attorneys and converting to a chapter 7 for less than what your current attorney is willing to do it for. Each case is different. Not everybody can qualify for chapter 7 bankruptcy relief when they are currently in a chapter 13 bankruptcy. 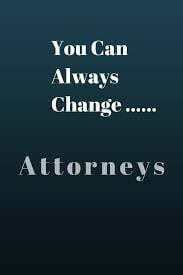 However, if you are not satisfied with your current attorney, you do have the ability to make the switch.